Not having the app makes you qualified to comment on it. Internet 101! You should try the app. You might like it. Last edited by stewartb; 01-19-2018 at 10:54 AM. I like big photos, is the app going to post them this size,? It does that "bada bing " or you need to resize when posting? You know what they say. Big hands, big feet.... big camera. No setting, just click on the plus sign next to the text box and select a picture. The app does the rest. If you want multiple pics just click on the plus sign again after the first photo loads. 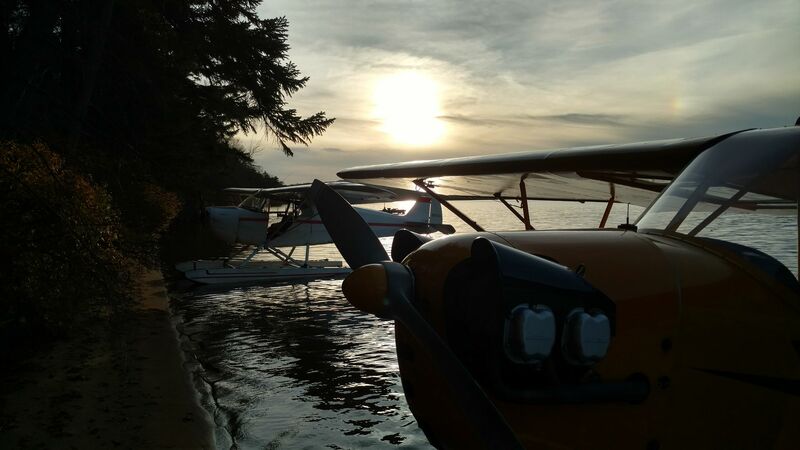 Not too long ago a Carbon Cub builder stopped posting because the photo uploading from the browser site had become clunky for him. Our loss. If using the app makes it easier for guys to share photos? We all win. I know we have several builders who aren’t doing any sharing. I’d like to see what they have going. And we appreciate you posting them here, because trying to view photos in photobucket is like....well, phuket. Stewartb, don't look now, but you've got a BIG hole in your panel. I think it’s an account thing. When I used it as a user I had no problem, but now when I try to view links of images in photo bucket it’s a spam-ad haven, constantly trying to take me somewhere else. When I do get to the photo it displays it at a fixed size and doesn’t allow me to blow it up or zoom in. So, I just don’t anymore. But as mentioned, I think it’s different when viewed as an account holder. As long as your photos show up here, doesn’t matter where they’re hosted. Last edited by mam90; 01-19-2018 at 02:29 PM. Mark, How did you manipulate the photo size to make it bigger? When I chose optimized it made my picture a thumbnail like the full site does. Correct Stewart, thanks for the info on this. Thanks Glenn, good to finally be flying.. Once it warms up some we’ll get the stripes on. Picked my skis up from Willyb today and they’ll go on tomorrow. I like the ap. Post a picture from my phone in one step. Ok, that was weird.. Stewart, did you edit your post? When I answered you your post asked if I clicked on optimized to post my picture..
Hmm. My pictures post much bigger from the photo roll upload (see post #45). From the paper clip icon the "best" and "optimized" views both come out the same, and smaller, as in post #62. Mark, yes, edited. I'm playing with the different options myself. I usually use the photo roll to upload but I wanted to see what else was hiding in the app. I ran into the same thing Stewart. Will have to play with it some more. One thing I noticed is my picture posted bigger on the full site than on the app... To be more precise, I posted the picture using the app and it displays larger on the full site. Photobucket? Have I missed something since the Photobucket disaster last July? I had a year long build thread of my boat on the Woodenboat forum, full of nice Photobucket-hosted images. One day they all vanished because the amount of traffic to that forum triggered the limits under Photobucket's new (and unannounced at the time) policy. Of course, If I send the $399 per year, they'd be happy to open them up again. So, my advice is to not use Photobucket. I've already seen plenty of those ransom images here on supercub.org threads. I tried it but it changes the whole site format. Is there a way to keep the " Hot Topics" page the same with the app?